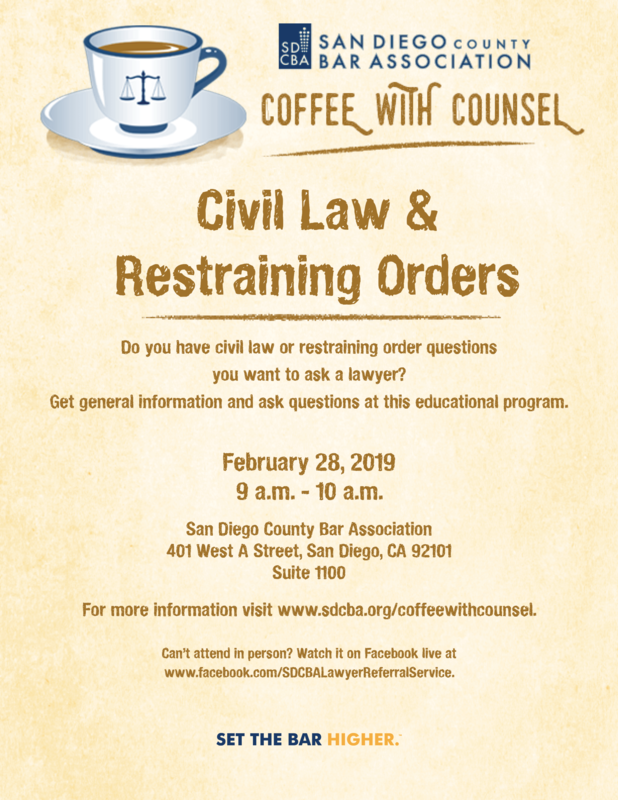 A panel of attorneys under our Civil Law panel will present an overview of current issues, concerns, and how to find assistance and resources. Attorneys will also answer questions from the public during this informal presentation. Please join us for this months Coffee with Counsel!